November 30, 2018 Social JusticeLeave a Comment on What the dip in US life expectancy is really about: Inequality! 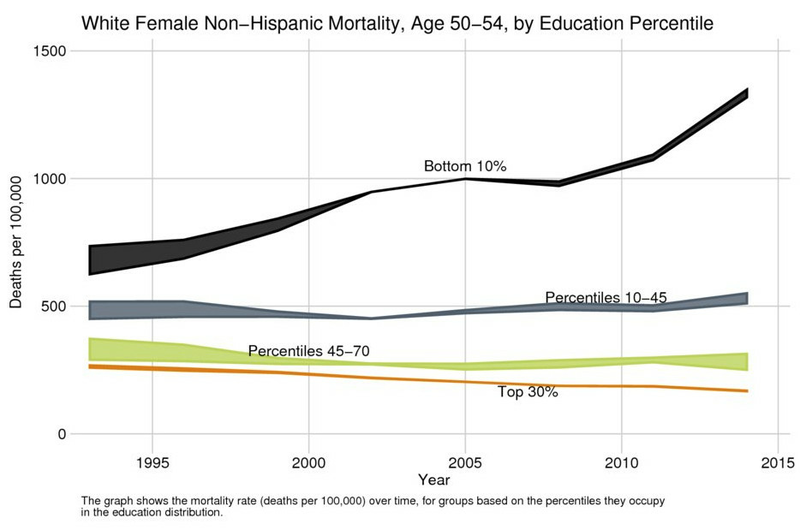 What the dip in US life expectancy is really about: Inequality! While poor Americans are dying earlier, the rich are enjoying unprecedented longevity. In 1980, the richest cohort of middle-age American men could expect to live until about 83 and the poorest to 76. By 2010, the richest American males had gained six years in life expectancy, living to 89 on average, while life expectancy for the poorest men hadn’t improved. The grim trend stems from a toxic mixture of more drug– and alcohol-related deaths and more suicide in many parts of the country. And it puts Americans at a higher risk of early death compared to their counterparts in other wealthy countries. 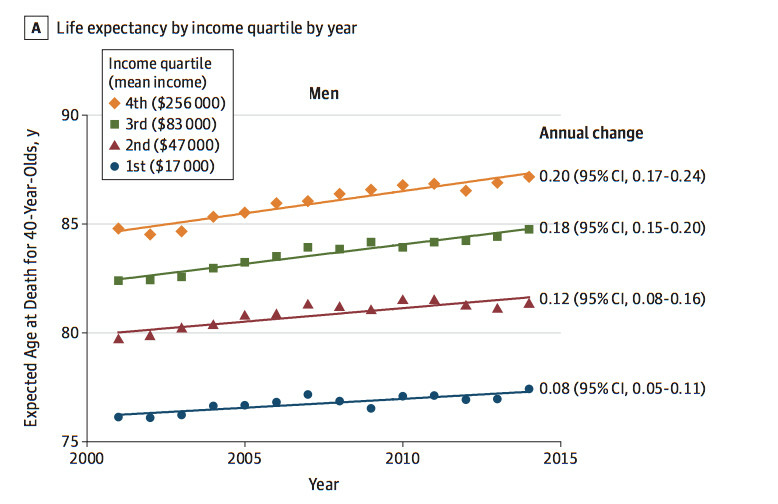 Changes in race- and ethnicity-adjusted life expectancy by income group, 2001 to 2014. Americans earning less than $75,000 would face higher taxes on average by 2027, according to the Joint Commission on Taxation’s estimates of the bill’s distributional effects. The bill has varying effects on different income groups in different years, but consistently cuts taxes for the richest Americans. For example, individuals earning less than $10,000 would see their federal taxes go up on average by $182 each year until 2027. People earning a million dollars or more would, on average, see their taxes fall by $6,800 annually over the next decade. Next New Study Confirms That American Workers Are Getting Ripped Off!